Harmonix’s latest crowdfunding attempt didn’t get anywhere close to fully funded, making it unclear if Rock Band 4 will ever come to the PC. 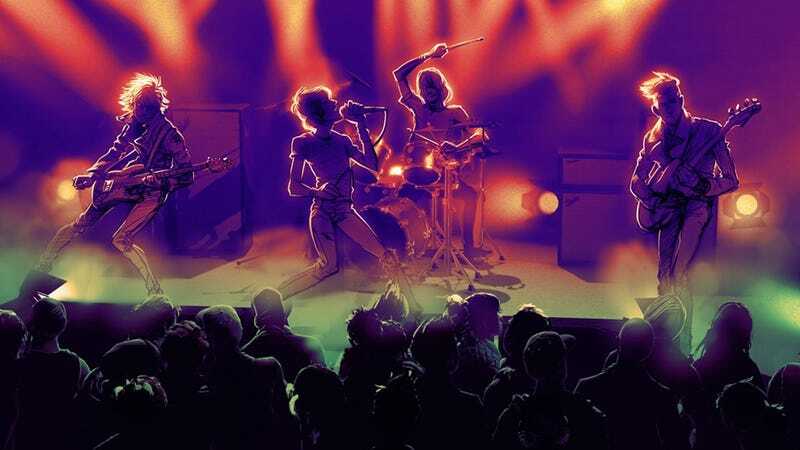 Some crowdfunding projects are able to pull off miraculous come-from-behind rallies in the final days of a campaign, but that wasn’t the case with Rock Band 4 on PC. Harmonix was looking for $1.5 million to make the port happen, but as of last night, it only reached $792,817. Perhaps more telling was the split between investment backers, folks who can make money off the game’s sales, and straightforward pledges. With Rock Band 4 on PC, investors made up $592,000 of the total, while only $201,000 came from pledges. Harmonix hasn’t issued a statement about the crowdfunding campaign yet, but promised one is coming later today. “As we enter our final 12 hours, we would like to give a great big “Thank You” to all of our backers and supporters,” they said in a backer update. Update 12:22 pm: Harmonix has since published a postmortem FAQ about the campaign, and confirms Rock Band 4 won’t be happening for PC. It’s not the first time Harmonix has turned to crowdfunding, though the last project took place on Kickstarter, a far more popular service. The studio raised $844,127to bring Amplitude back on PlayStation 3 and PlayStation 4. The PS3 version just launched. Perhaps there was enough investor interest for Harmonix to find another way to make Rock Band 4 on PC a reality? Who knows. Neither Rock Band 4 nor Guitar Hero Live managed to breathe significant new life into the plastic instrument genre last year, and the tepid response to this crowdfunding campaign may point to the genre nearing its end.